Maryrose L. Hegland, age 95, of Fridley, passed away peacefully with family by her side on Sunday, April 08, 2018. The only surviving child of Carl Keefe and Lillian (Cisewski) Keefe, Maryrose grew up in Trempeleau, Wisconsin near the banks of the Mississippi River and was proud of her Irish Heritage. 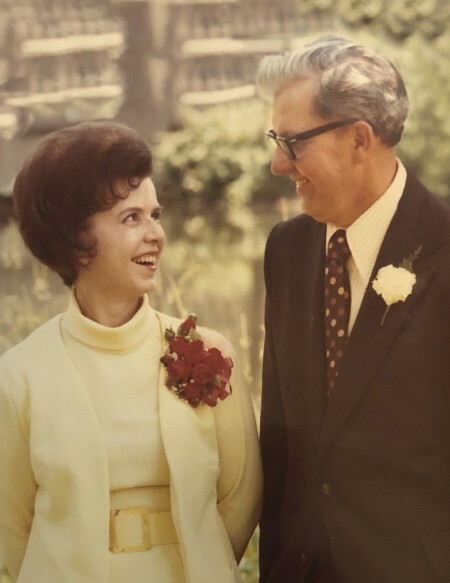 In 1951 she married Milton Hegland (1922-1978) and raised four children in Minneapolis before moving to the house they build in Fridley, MN in 1972. During her long career in retail she was a fashion buyer, bookkeeper, and personnel director. Maryrose was a gifted crafter who made silk arrangements, ornaments, and other decorative delights. She is preceded in death by her husband, Milton T. Hegland, and parents, Carl and Lilian Keefe. She is survived by her children, Michael (Sharlene) Hegland, Patrick Hegland, Thomas Hegland, Maryann Porter; grandchildren, Jessica (Kenny) Richmond, Ryan Hegland, David (Jessalyn) Hegland, Emily Hegland, Christopher Hegland, Tyler (Andrea) Hegland, Angela Hegland; and great grandchildren, Nathanial and Charlotte Richmond. A Mass of Christian Burial will be at the Church of St. William, 6120 5th St NE, Fridley, on Tuesday, April 17, 2018, at 11:00AM with a visitation on hour prior. Interment at Fort Snelling National Cemetery.